HomeRecycled Timber Planter at Masons of Bendigo! We recently had the pleasure of working with Sonia from Masons of Bendigo in creating this beautiful recycled timber and corrugated iron planter bed. 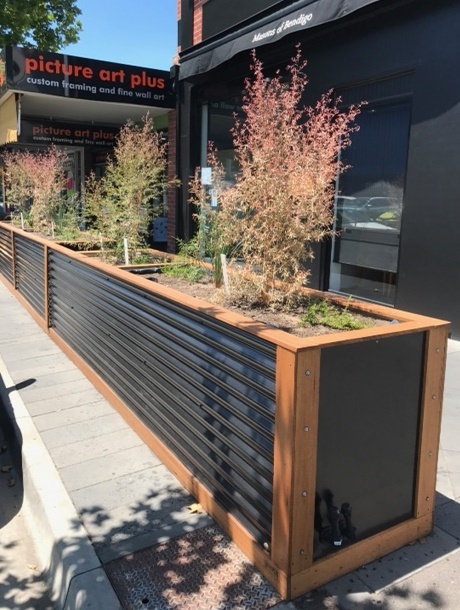 It is practical for the restaurant and also improves the streetscape of the area, it even features a small seat/step for children to hop up and have a closer look at the fresh produce growing! See more pictures in our Gallery!